Getting a home loan pre approval before you start looking for your first or next property purchase will give you the confidence to allow you to find that property without the worry and second guessing that comes from financial uncertainty. Seeking a home loan pre approval is a great way to put yourself ahead of the pack in the real estate market, allowing you to make precise decisions with the knowledge that you have the finances to back up your offers. Whether you’re interested in purchasing at auction or looking to secure property through a private treaty sale, the benefits of being able to act immediately cannot be overlooked. Even more so with auctions, when sellers often expect the paperwork to be signed immediately following the proceedings. If your finances aren’t ready, you could find yourself missing out. Speaking with a mortgage broker about getting a pre approval will give you clarity about the type of properties you should be looking into. For example, having a clear understanding of your borrowing capacity could provide you with search guidelines and framework – helping you to focus your search and complete a successful purchase. What’s more, pre approvals are valid for a period of three months, dispensing with the need to make rushed decisions and allowing you to search at your own pace. If you fail to find anything suitable during this period, applying for another pre approval is simple and easy, taking the stress out of the equation. If you’re interested in purchasing property in the near future, now could be the perfect time to contact a professional mortgage adviser and begin discussing the various options open and available to you. You can contact an Ocean Home Loans mortgage broker on 07 5593 1420 for home loan pre approval advice, or complete our enquire online form and we’ll call you! 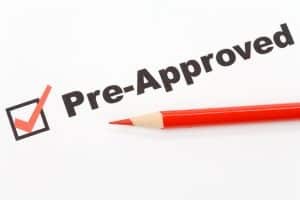 A pre approval gives you certainty about your borrowing.